The Hotel Risshi Residency has spacious and well-designed interiors combined with required amenities to provide a pleasant stay to guests. The rooms are well-decorated in complimenting shades of statement wallpaper and curtains. 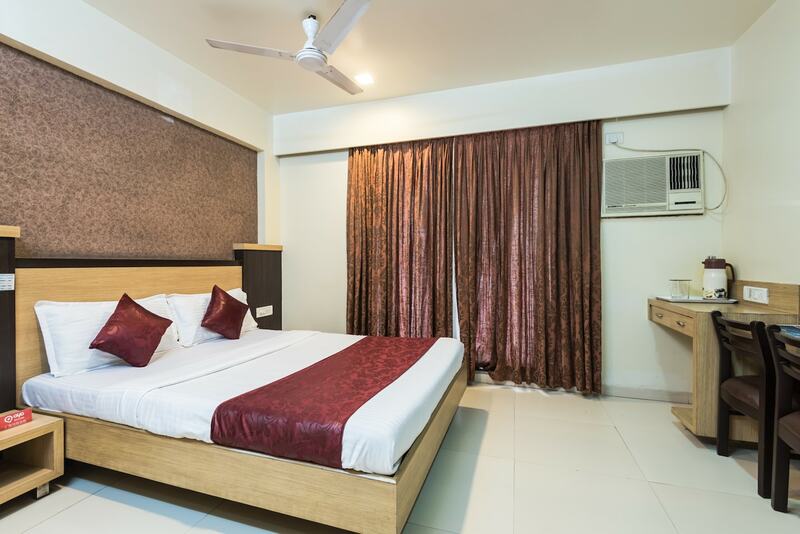 The furnishings in the rooms include a wardrobe and a mini-fridge is also provided where guests can store their desired food items and beverages. The hotel provides a common seating area, dining area, free WiFi connectivity, parking facility, power backup and elevator service. There are also conference rooms and banquet halls available for the use of the guests. The hotel offers a bar, and several restaurants are located in the vicinity. The hotel is situated close to the Kopar Khairane Railway Station, making commute easier for the guests.